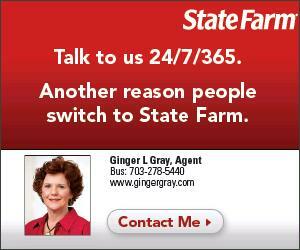 SIX LOCAL STATE FARM AGENTS SPONSORS LARGEST ADULT SPORTS LEAGUE IN NORTHERN VA! FAIRFAX, VA August 16, 2011 – A group of six local State Farm Agents united to be the title sponsor for Fairfax Athetics, the largest adults sports league in the Northern Virginia. These agents have been serving the DC, MD, and VA area for a number of years and were all fascinated with the fast growth of the league in a short amount of time. As State Farm Agents, they are truly involved in the community and were impressed that Fairfax Athletics was a non-profit sports league that promoted sports activity for adults and professionals who may otherwise not have time to stay and be active. The agents are hoping this partnership could help the league get better field space, sports equipment, and further expand the league among other things. State Farm®'s mission is to help people manage the risks of everyday life, recover from the unexpected, and realize their dreams. 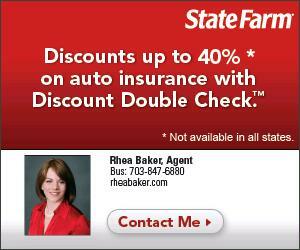 State Farm is a family of insurance and financial services companies that together serve over 81 million customers in the U.S. and Canada through their 68,000 employees and more than 18,000 independent contractor agents. Our many lines of business together offer over 100 products. Fairfax Athletics (FXA), a nonprofit corporation, is Northern Virginia's (Alexandria, Arlington, Ashburn, Burke, Chantilly, Centreville, Fairfax, Falls Church, Herndon, Loudoun, Reston, Rockville, Springfield, Vienna, & Washington D.C.) Largest Co-ed & Men's Adult Sports League with over 585 teams in 2010. We offer both team and individual (free agent) registrations for our Spring, Summer, Fall, and Winter seasons. That's right, we play sports year round!